WILMINGTON — The international honor society, Phi Theta Kappa, selected Wilmington College to its 2019 Honor Roll featuring the top four-year colleges and universities for creating “dynamic pathways” in support of transfer students. This marks the second consecutive year WC received this honor. Phi Theta Kappa (PTK) lauded the College’s “excellence and success” in providing a program of accommodating transfer students from two-year institutions. It evaluated such areas as scholarships and financial aid, admission outreach, student support services and student engagement opportunities. One of those especially unique elements is the College’s Transfer Advantage, which recognizes general education courses that associate’s degree recipients have taken at regionally accredited two-year schools, as satisfying WC’s graduation requirements. This is essentially unprecedented for a private institution in Ohio. As such, the College re-shaped its general education requirements so many community college graduates can continue their pursuit for a bachelor’s degree at WC with the expectation of needing only two more years of studies. Also, the College features a transfer-friendly transcript evaluation program and a website designed to answer most questions and concerns of transfer students. 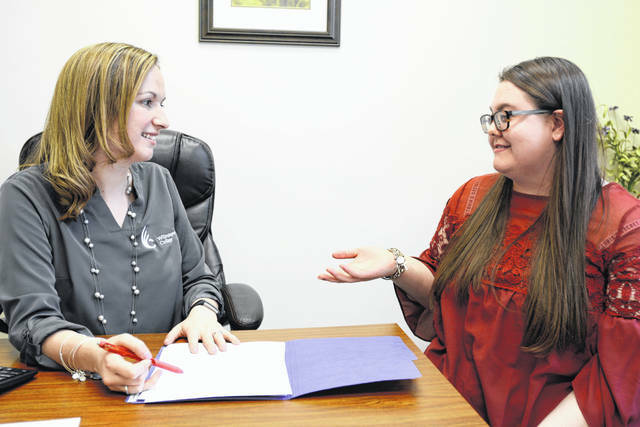 Heather Miller, senior transfer and admission counselor, said Wilmington College, which “greatly values” the education its transfer students have received at two-year institutions, is uniquely set up to provide this student population with a high quality experience. As a result of the designation, Phi Theta Kappa will formally recognize Wilmington College at its national awards summit this spring in Orlando.